Content is once again king. Thanks to the improvements in Google’s search engine in recent years, mostly down to the Panda and Penguin updates, good quality content is still a key component to a successful business marketing campaign. In the days before the Internet, companies would invest a large part of their marketing budget in creating engaging content pieces for newspapers and magazines. SEO quickly changed this and the race to the top of search was won by those who churned out the most content, not the best. Content is back, but how do you make your content work for your business? What is a good content strategy and how do you come up with content ideas that will entice people to visit your website for the first time? 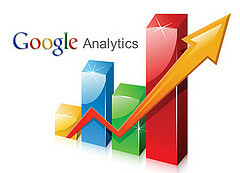 Some of the answers may be sitting at your fingertips within your Google Analytics data. Let’s dive in. The most important set of reports can be found under the Behaviour tab. 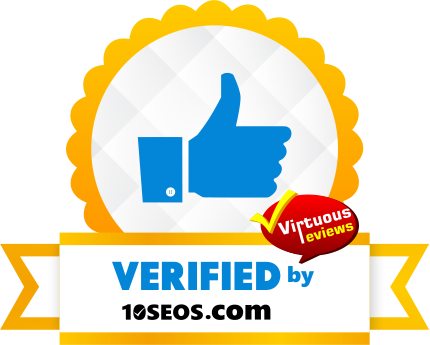 Here you can quickly view all of your pages in order of popularity, and then from here, see which pages are converting the best. Assuming that you have a call to action on each page that is trackable, you can see which pages are resulting in the most page conversions. Once you have determined the highest converting page, look for similarities in content type – are the pages on similar topics? If so, you should broaden this part of your website to provide a greater variety of good quality content that is likely to convert to more sales or enquiries. However, you need to be careful not to duplicate topics, as this could trigger an algorithmic penalty from Google Panda. As well as identifying the pages with the most views, see which ones are converting the most. Sometimes, pages with very few visitors convert very well. If you identify pages like this, promote them! Write new blog posts that direct readers early on (via a link in the first paragraph) to the pages that convert well. Also, consider using social media advertising to drive more traffic direct to those pages. A high bounce rate may indicate that a visitor has not found your website, or products, engaging. A bounce is defined as whenever a person lands on a page for the first time and then leaves the website without taking any further action. Some pages will always have a high bounce rate. For example, if a page answers a very specific question, the visitor may not require any reason to view other pages. It would be nice to have them stay around, but pages that provide valuable information can benefit you in other ways – people are more likely to share them. Also, pages with a low bounce rate should be further promoted – it is always better to send new visitors to pages that have a track record of performing well. With more people using mobile devices to view the Internet than ever before, it is vital to ensure that you are providing a good user experience for those on mobile. Google Analytics provides site performance and speed testing tools which can be used to identify potential problems, such a slow loading images. The behaviour flow report displays visitor journeys on your website, from the first page they landed on through to the final page they viewed before leaving. Use this tool to determine if visitor journeys are in line with your content and marketing strategy. Ideally, you need to drive your visitors to the best converting pages as quickly as possible – if they are hopping from one blog post to the other, and never viewing your product pages, there is a problem with your sales funnel. These are just a few Analytics tips that can be used to help improve your content strategy. If you need help with creating high quality, engaging content, contact Freelance SEO Essex today.